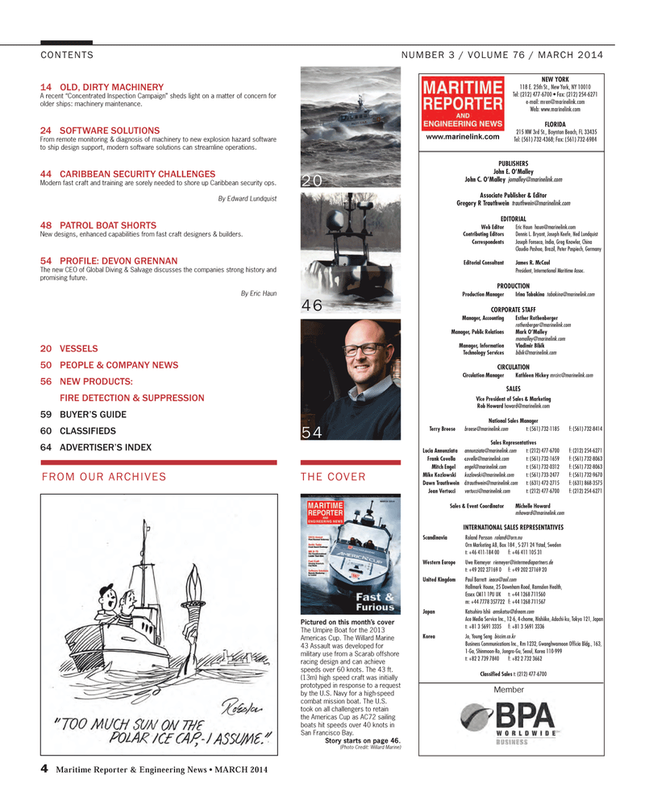 EDITORIAL Web Editor Eric Haun haun@marinelink.com Contributing Editors Dennis L. Bryant, Joseph Keefe, Ned Lundquist Correspondents Joseph Fonseca, India, Greg Knowler, China Claudio Pashoa, Brazil, Peter Pospiech, Germany Editorial Consultant James R. McCaul President, International Maritime Assoc. Modern fast craft and training are sorely needed to shore up Caribbean security ops. The new CEO of Global Diving & Salvage discusses the companies strong history and promising future.